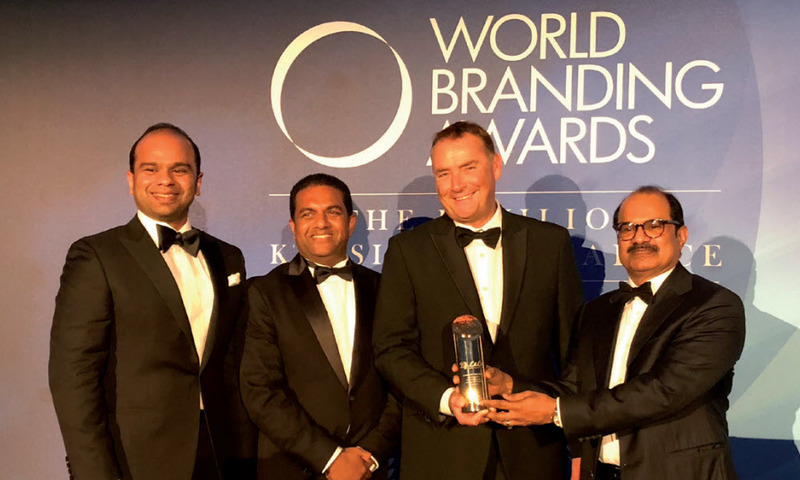 POPULAR hypermarket Lulu won the coveted Brand of the Year Award in the Retail Category at the 2018 World Branding Awards ceremony staged in the United Kingdom. The annual event evaluates companies from around the globe through a three-step procedure including brand evaluation, public online voting and consumer market research. At a glittering function held at Kensington Palace in London, Ashraf Ali Musliam, executive director of Lulu Group, received the top award from Richard Rowles, chairman of World Branding Forum, in the presence of leading business executives and dignitaries from around the globe. World Branding Awards are considered the benchmark in the industry. “We’re obviously very delighted and proud to be chosen as the top global brand and the fact that this award is primarily based on a public survey and customer feedback, makes this recognition much more valuable for us,” said Ashraf. The seeds of the Lulu Hypermarket chain were planted by Yusuff Ali M.A. who started in the 1990s with department stores and supermarkets in the UAE. The first hypermarket was opened in 2000 and the Lulu Group now boasts around 140 stores and malls worldwide. The first store in Bahrain opened in Dana Mall in September 2007 and the kingdom is now served by six hypermarkets – at Dana Mall, in Riffa, in A’ali’s Ramli Mall, in Hidd, at Juffair Mall and Galleria Mall – with more to come. The Atrium Mall & Towers, in Janabiya, is getting closer to completion and, as reported earlier, boasts a planned giant Lulu and cinema complex.